The prosecution’s motion in limine in the Stevens case lays out the evidence that it intends to introduce “concerning solicitations made by [VECO] and its executives or non-legislative acts taken by Senator Theodore F. Stevens or his staff in response to VECO’s solicitations.” The government seeks a ruling in advance of trial that such evidence does not run afoul of the Speech or Debate Clause. As I will suggest below, a significant amount of this evidence does in fact appear to violate the letter and/or spirit of the Speech or Debate Clause. The prosecution’s evidence can be broken down into three categories. First, there is evidence regarding assistance requested from or provided by Stevens and/or his staff with regard to executive agencies or foreign governments. These matters involve interventions by Stevens or his office in furtherance of VECO’s business interests. For example, in 1999 Stevens allegedly arranged a meeting between VECO and FEMA “for VECO to attempt to obtain a federal contract, through FEMA, to do rebuilding in the former Yugoslavia.” Similarly, in 1999 Stevens and VECO President Allen are said to have traveled to Sakhalin Island to meet with Russian officials as part of an effort by VECO to obtain contracts from the Russian government. Generally speaking, this type of “constituent service” is not covered by the Speech or Debate Clause. 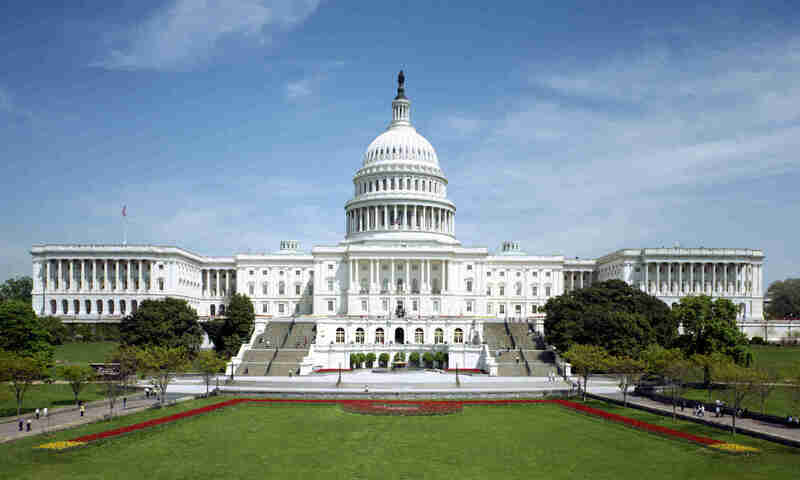 Although the courts have recognized that it is common and appropriate for Members of Congress to perform a variety of services on behalf of their constituents, these services do not fall within the “legislative sphere” protected by the Speech or Debate privilege. The second category of evidence relates to requests for assistance which appears to be legislative in nature. For example, in 2004 Allen allegedly wrote to Stevens seeking a $5 million earmark in one of the FY 2005 Appropriations Bills. The government also relies on cases which hold that the Speech or Debate Clause does not apply to communications outside the “halls of Congress.” An example would be Hutchinson v. Proxmire, 443 U.S. 111 (1979), which held that the Speech or Debate Clause did not protect a Senator against defamation claims relating to statements made to the press or the general public. The government’s theory raises fundamental questions about the scope of the Speech or Debate Clause. Although it is true that the case law it cites contains broad language limiting the reach of the Clause’s protections, that language has been applied in the specific context of bribery or defamation-type cases. Under the government’s theory, this language could be used to eviscerate the Clause’s protections entirely. For example, while the government could not introduce evidence that Stevens voted to approve the FY 2005 earmark in question, it could introduce evidence of (a) any requests made by VECO or others that Stevens support this earmark, (b) any discussions that Stevens may have had regarding the earmark in advance of the actual vote, and (c) any communications that Stevens made “outside the halls of Congress” regarding the vote after it occurred. It is difficult to see what would be left of the privilege at that point. The final category of evidence relates to actions and communications relating to a major public policy issue in the State of Alaska, the construction of a natural gas pipeline within the state. This issue evidently involved a complex interaction between state and federal jurisdiction, and required both federal and state legislation, as well as other governmental actions, to resolve. The government’s theory here, consistent with its views with regard to the earmark, is that all of the evidence relating to this category, except perhaps direct evidence of how Stevens voted on the federal enabling legislation, is beyond the scope of Speech or Debate. Thus, “when Senator Stevens provided VECO with e-mail communications, status reports, and other forms of updates concerning the federal enabling legislation dealing with the natural gas pipeline,” these communications were unprotected by Speech or Debate. Similarly, communications or actions by Stevens and his staff relating to the state legislation that was required in order to implement the federal enabling legislation would also be unprotected. An example would be a speech given by Stevens on July 7, 2006 to the Alaska Senate Energy and Natural Resources Committee in which he urged the committee to pass the pipeline legislation in order to prevent the pipeline project from being crippled. The government argues that this speech is unprotected both because it was made outside the halls of Congress and because it addressed state, not federal, legislation. I find this troubling for several reasons. If the Speech or Debate Clause means anything, one would think that it means that the government cannot prosecute a Member of Congress for the legislation that he has supported and the policies he has advocated in his official capacity. But under the government’s theory, unless the Member’s statements and activities remain hermetically sealed within the halls of Congress, the privilege is of little effect. Given the current climate in Washington, D.C., it is vitally important for our Congressional delegation to work closely with you. Alaska succeeds when Alaskans work together. The first test of our partnership begins with the gas pipeline. Alaska’s gas resources – 35 trillion cubic feet of natural gas, an estimated 200 trillion cubic feet of conventional gas resources, and 32,000 trillion cubic feet of gas hydrates – will help chart the course for the next generation of energy development in our country. Our pipeline authorization process, which began with passage by Congress of the Alaska Natural Gas Pipeline Act in 2004, must overcome many hurdles before the first pipe is laid. Before construction can begin, our pipeline must go through several permitting processes, including approval by this state, FERC, and, perhaps, action by Canada. The timeline for our approval of the gas pipeline is very short. It is imperative that we act this year. I met with Governor Palin in Washington and am encouraged by her efforts thus far. It is my hope that your review of Governor Palin’s plan will be completed as soon as possible. When the state has acted, our delegation will do all we can to accelerate federal review of the final design, precise location, and approval of the project, which will take time. As this indicates, the pipeline project was an integrated effort involving Alaska’s congressional delegation as well as the Governor and state legislature. Even if part of this effort, such as Stevens’ communications with the Alaska legislature in support of the state legislation, is arguably unprotected by the Speech or Debate Clause, there is no way that the government could introduce evidence regarding isolated parts without implicating the whole. Indeed, the reason that the prosecution seeks to introduce this evidence in the first place is to show that Stevens’ actions on the pipeline were taken on behalf of or for the benefit of VECO. In order to defend against this implication, Stevens will be required to put on evidence regarding the entire project, including the aspects that are clearly within the legislative sphere. The effect will be to have a mini-trial regarding the merits of Stevens’ legislative agenda with regard to the pipeline project, tried before a Washington, D.C. jury (if the government succeeds in fighting Stevens’ motion to move the trial to Alaska) disinterested in, if not actively hostile to, the Alaskan economic interests at stake. Such a spectacle would seem to strike at the very core of the protection the Speech or Debate Clause was intended to provide. IMHO, the court should reject the prosecution’s attempt to introduce evidence in categories 2 and 3. In fact, given the peripheral nature of the point the government is trying to make (that Stevens’s relationship with VECO establishes his motive and intent with regard to omitting matters from his financial disclosure statement), it could be argued that all or almost all of this evidence is more prejudicial than probative. The government should have no need to establish anything beyond the (presumably uncontested) fact that VECO and Allen sought assistance from Stevens and his office on various occasions during the relevant time period.